See the announcement of this new subscription for more details. With an annual subscription to Interpreter: A Journal of Latter-day Saint Faith and Scholarship you will receive professionally bound paperback copies of our journal volumes in the mail, automatically, shortly after they are finished being compiled. We estimate that we will produce four or five volumes annually of the journal, or about one volume every ten or eleven weeks, and all volumes produced in a year are included in your annual subscription. You may purchase multiple subscriptions if you would like multiple copies of each volume. Your subscription will automatically renew after a year unless you unsubscribe. Originally the annual print subscription was priced at $35 per year. In order to offer the subscription at that price we had to meet a minimum order threshold. Although we are well on the way to reaching that minimum, we have not yet crossed the threshold, meaning that the cost will be $50 per year instead of $35. The $50 price is carefully calculated to cover the cost to print the volumes and shipping and handling only. There is no other markup or royalty included in the price. As such, this print subscription should not be viewed as a donation to The Interpreter Foundation since it covers cost of printing and shipping only. If you would like to donate to the foundation, please click on the “Donate” button below (or use one of the other methods noted on our Donations page). 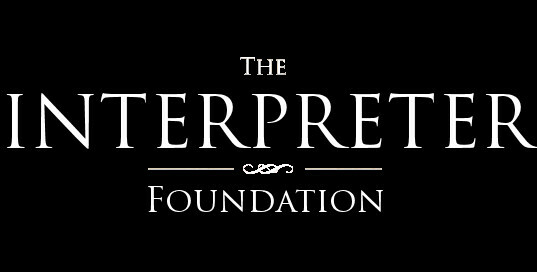 We strongly encourage and ask our subscribers to donate to The Interpreter Foundation, before or after subscribing, to help defray the costs associated with preparation and publication of Interpreter, as well as the other activities of the foundation such as the production of videos, symposia, and books. If you have any questions or comments about this new print subscription, please let us know by contacting us via our Contact page. We’d also like to note that our printed volumes will continue to be available for sale individually on Amazon.com. Thank you for your continued support of The Interpreter Foundation.